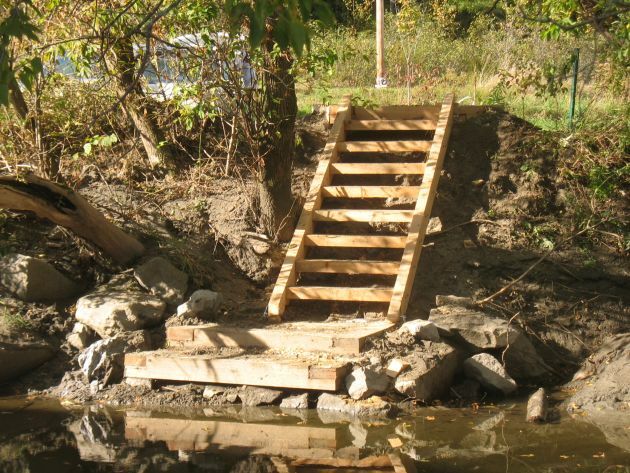 The Friends are working to improve paddling access throughout the watershed. In 2012, we completed a paddling access study of the Winooski RIver and its tribuatries. As of 2013, we have completed two new access points at the Plainfield Co-op and at Martin Bridge in Marshfield (right). We are currently working with a group of individuals and organizations to improve the access below the Winooski One dam in Winooski. If you have feedback on the study or information on the following questions. Please get in touch.